Uranium Overdose: MESRINE - Bad Seed... Spoiled Blood 7" EP - out now! 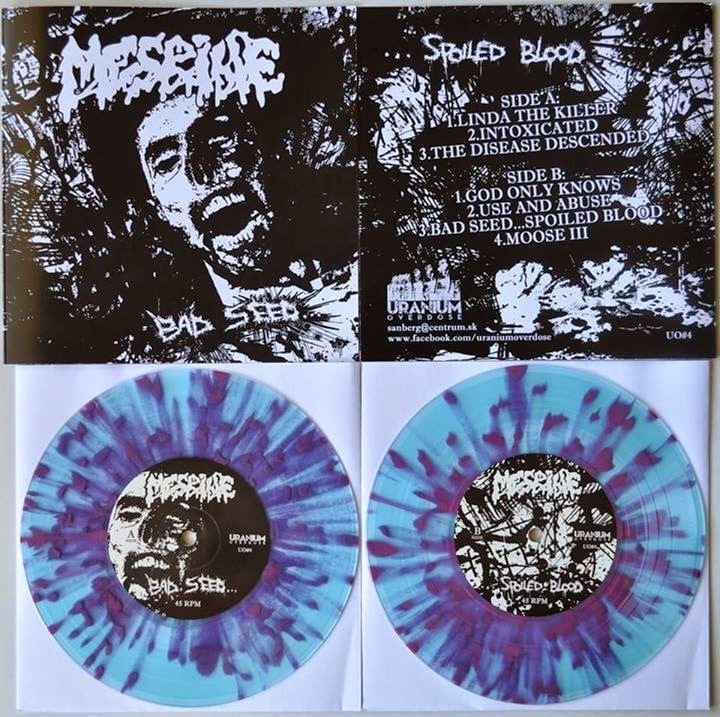 MESRINE - Bad Seed... Spoiled Blood 7" EP - out now! The new MESRINE full 7" EP "Bad Seed... Spoiled Blood" is ready and will be officially out on the 2nd of July. I think that the most of you are familiar with these guys and you can expect nothing but pure old school grindcore holocaust. 7 new brutal songs in less than 8 minutes on 45 RPM. Released in a limited edition of 520 hand-numbered copies in electric blue / grimace purple splatter vinyl that turned out to be a great choice. A must have for all grind freaks around! Thanks to all for your continuous support, cheers!